50-Day Run Streak #writeandrun31 | (m)EAT LESS, RUN MORE! 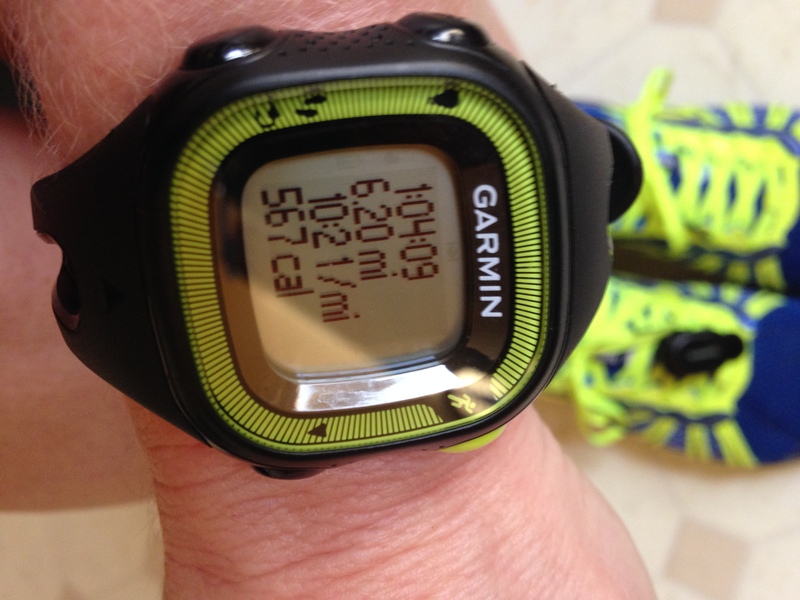 I hit a pretty awesome milestone today – 50 days of running in a row! And in these 50 days (started 11/23/14) I’ve ran 171 miles. That’s 3.42 miles per day on average. I’m pretty sure there were only 1 or 2 days in which I only ran 1 mile (one of those being yesterday, Lol!). Generally, I run between 3.25 – 3.5 miles per day during the week, then a shorter run on Saturday followed by a longer run on Sunday. Those longer runs are supposed to be my slow, endurance building miles, but as you can see in the above picture, I tend to actually run faster for the longer miles. Weird, huh?! Although, these results may be skewed because on the site I posted this from (smashrun.com), I “hid/blocked” all runs prior to November 23rd. For today’s run I did reverse intervals of 4:1 for the first half, then 3:2 for the second half. So instead of run:walk, I did jog:run. I finished 10k (6.2 miles) in just over 64 minutes. I ran in my pajamas (+ sports bra) while watching Doctor Who, again :) Have I mentioned how much I love my treadmill! Lol! 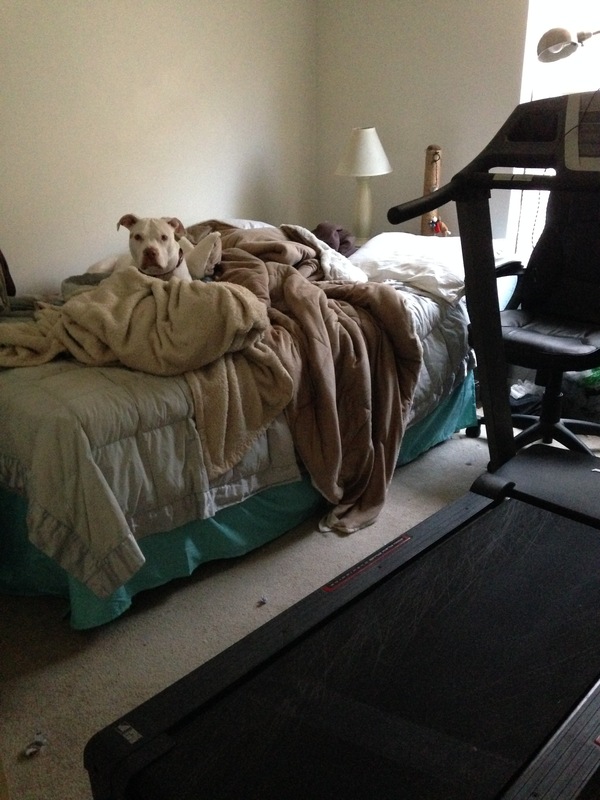 While I run, Lucy unfolds and burrows into the extra blankets that I keep on the spare bed.